Now, I know it's June, and nobody in their right mind is thinking about Christmas. Unless you are designing greeting cards for the holiday season—like I've been doing. 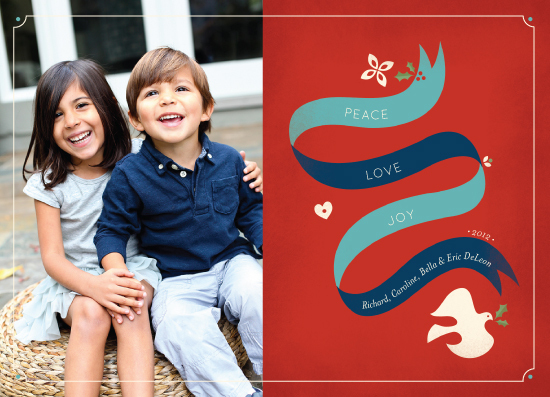 I’m participating in Minted’s annual holiday card challenge. Minted holds monthly design challenges and voters rate the best designs in a highly competitive process. The winning designs are produced and sold, and the designers earn cash prizes, a place in the Minted collection, and commissions on all sales. There is also a great opportunity for winners to design a whole line for the holidays. So please check out my design, and if you like it, please vote for me on Minted. I will send you a huge virtual hug!! Go HERE to vote. I always love your stuff, Lyndsay. Voted! xo. Voted and posted to my FB wall!